Pioneering filmmaker and television producer Madeline Anderson is often credited as being the first black woman to produce and direct a televised documentary film, the first black woman to produce and direct a syndicated tv series, the first black employee at New York-based public television station WNET, and one of the first black women to join the film editor’s union. Anderson would go on to become the in-house producer and director for Sesame Street and The Electric Company for the Children’s Television Workshop. During the early 1970s, she also helped create what would become WHUT-TV at Howard University, the country's first, and only, black-owned public television station. 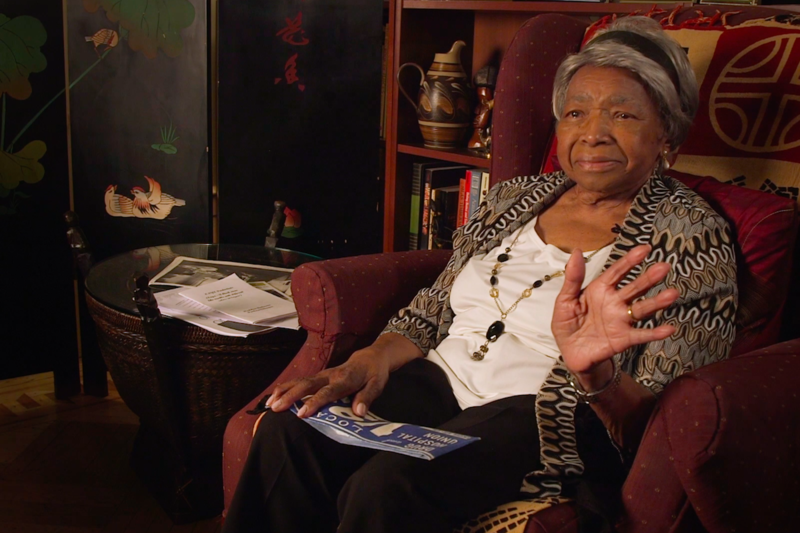 For our Cinema + Conversation series, Anderson shared her thoughts on what first inspired her to become a filmmaker as part of the Smithsonian's oral histories project. As part of the 21st American Black Film Festival in Miami, the Museum is screening two of Anderson's seminal works. Her documentary Integration Report 1 released in 1960, chronicles the events leading up to the first attempt at a march on Washington, D.C. I Am Somebody, released in 1970, tells the story of 400 African American women who, as hospital workers in Charleston, South Carolina, went on strike in 1969 to demand fair pay and unionization. Following the screening at this year's festival, Anderson will join Rhea Combs, the Museum’s curator of photography and film and head of the Earl W. and Amanda Stafford Center for African American Media Arts, for an in-depth discussion on her life's work as a filmmaker and her impact as a trailblazing African American woman. You can explore more from the Museum's selection of African American media arts by searching for video, images, and audio found in the collection.